You may receive updates from Draft Sally, the sponsor of this petition. Sally Yates is a career civil servant, former Acting Attorney General of the United States, and an American patriot. Ms. Yates was fired by President Trump for ordered the Justice Department not to defend President Trump's executive order on travel and immigration AKA the #MuslimBan. 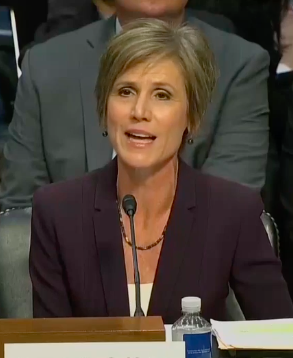 After watching Yates testify before the Senate Judiciary subcommittee this afternoon, I'm convinced that she'd make an amazing candidate for Congress, Senate, possibly even for President. Please join me in encouraging Sally Yates to run for higher office as a Democrat. Let Yates know that if she's in, you'll support her campaign.